A hands-on class culminating in a dinner with wine and beer. Chef knives will be provided to students for in-class use. This class is limited to 12 students. 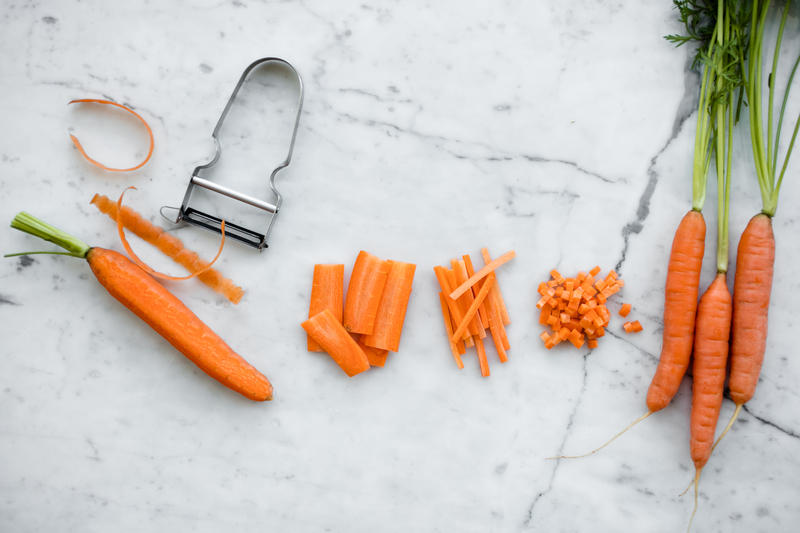 Join 18 Reasons Chef and Culinary Instructor, Mike Weller, for a class in the basics of using your chef's knife at home. We will discuss the ins and outs of knife use, care and safety. You will walk away knowing how to maintain a sharp edge and the best way to cut vegetables and herbs. This is a great class for beginners. This class includes our Knife Skills manual and a coupon for 20% off an 18 Reasons class of your choosing. The vegetables cut in this class will be used to create our favorite Vietnamese-inspired Salad (with optional chicken and peanuts); wine, beer and bread will also be served. New for 2018: We have increased the cost of this class by $5 to both members and non-members. This increase will subsidize a free ticket to Basic Knife Skills for a student in our Cooking Matters program, which serves communities with limited financial means. If you'd like to learn more about our Cooking Matters program, click here. Born in the Haight Ashbury neighborhood of San Francisco, Mike Weller grew up in suburbs of San Jose, where he discovered cooking as his first profession and lifetime passion. After wandering through typical teenage jobs at pizza joints and ice cream parlors, Mike’s first “restaurant” job was with Sambo’s Coffee Shops, slinging hash and cooking eggs for the bar rush and Sunday breakfast crowds. He moved on to help open several restaurants, attend the California Culinary Academy, and study under European chefs with Michelin backgrounds. Later, Mike served as an executive chef for catering companies, wineries and country clubs. When his son was born, Mike transitioned his career into teaching, returning to the CCA where he eventually became the Executive Chef and Director of Academics. Having taught for Le Cordon Bleu North America in both online and brick and mortar schools, Mike is thrilled to return to teaching in a neighborhood-based community. When he is not teaching he tends to his backyard garden, helps his wife to can and preserve food, and loves to cook for his friends and family.